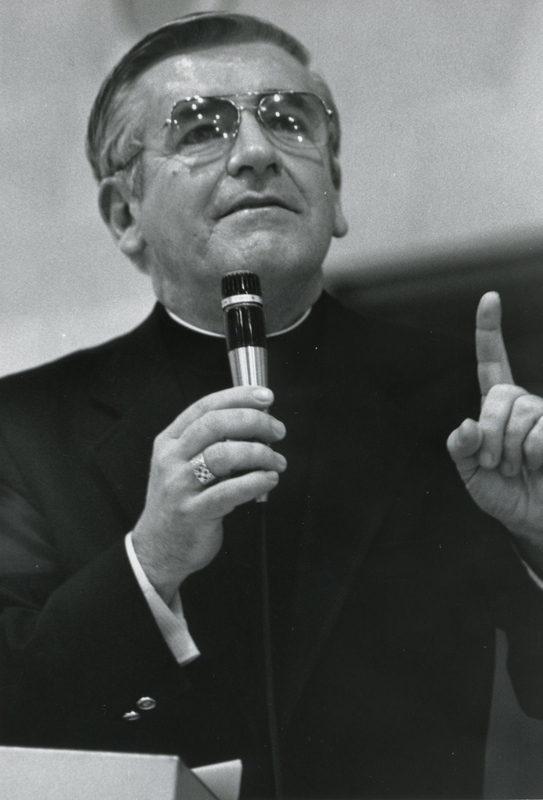 In keeping with the sprit of the Second Vatican Council, Bishop Murphy’s vision for the church included a broad and meaningful role for the laity. In order to make this vision a reality, he introduced the Tempus Program in September of 1986. The main focus of the program was to enhance the laity’s spiritual growth and deepen their relationship to Christ. At the time of the program rollout, the bishop shared the following thoughts, “Among my priorities for the last eight years has been the desire to awaken within the laity within the diocese a greater sense of their role and responsibility in the Christian community. At the heart of all ministry in the church, however, is not only service to others, but also a growth and development by those who minster in the life and the spirit. Click here to read Bishop Murphy’s address on the Tempus Program.